We provide an exclusively tailored trailer insurance package that offers comprehensive insurance cover for all types of trailer. Cover can include, but is not limited to, box van trailers, flatbed trailers, transport trailers, tipping trailers or horse trailers. Our Trailer Insurance policy is so broad in coverage that we cater for almost any kind of trailer. Our trailer insurance policy automatically includes accidental damage, fire and theft cover. If your trailer is less than 3 years old ‘new for old’ cover is provided as standard. Our trailer policy also extends to include Replacement Hire if the trailer becomes unusable for 24 hours because of a loss or damage. Furthermore we offer Public Liability cover amd European Use cover should you wish to operate your trailer outside the United Kingdom (including sea crossings). Datatag Trailer is a trading name of IPG Retail Ltd.
We offer discounts for trailers fitted with Datatag Security. To discuss your trailer insurance requirements, contact us via telephone on 0800 612 7419. Alternatively, email us or submit a request for a quote online using our quick & easy form. Why Choose DataTag Trailer Insurance? All our team members are trained insurance experts. Our prices are both fair and affordable. Welcome to Datatag Trailer specialist providers of trailer insurance. Datatag offer insurance packages that are tailored specifically to your requirements covering all types of trailers. Our trailer insurance policy will cover you for such items as horse trailers, flatbed, transport, box, tipping and many more. Furthermore, the policy fully covers you for fire, theft, accidental damage with the additional benefit of providing “new for old” cover for any trailer les than 3 years old. Datatag Trailer has been established to provide you the facility to find the best insurance available online. The facility is operated on behalf of Datatag ID Ltd by IPG Retail who are fully authorised and approved by the FCA. 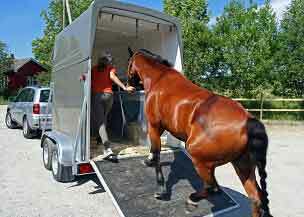 Searching for trailer insurance can become a very laborious task. With so many diverse insurers available it is very hard to know exactly who to go with and what is involved when taking out a policy. This is where we can help. Our approach to business is a combination of using state of the art technology and a traditional and friendly attitude. We cover any type of trailer. If you don’t find your trailer in the list, there’s a high chance that we can still cover it. Contact us and a friendly member of our team will look into this for you. We provide a completely tailored insurance package that offers comprehensive insurance cover for all types of trailer. Cover can also include, but is not limited to Commercial Goods Trailers, Exhibition Trailers or Advertising Trailers. Our insurance policy is extensive in coverage and we cater for almost any kind of trailer. To a large number of commercial and corporate trades trailers are in frequent use and at Datatag we have packages designed especially for Commercial Goods Trailer, Exhibition Trailer and Advertising Trailer. We encompass the insurance products relevant to you. As you input your information online, we build a policy to suit you at the lowest possible rate. We always check our prices so that you get the most competitive rates for your Commercial Goods Trailer, Exhibition Trailer and Advertising Trailer. Datatag insurance key Benefits are New for Old cover for new trailers, Cover includes European Use and Replacement Hire cover also included. We also offer a 20% Discount if a Datatag theft deterrent system is fitted. Hydraulic Tilt trailers and plant trailers are designed to transport many types of vehicles and machinery. A vital piece of equipment to many different industries – damage or loss to them is timely and to replace these trailers is costly. That is why Datatag offer fully comprehensive insurance packages specifically designed to suit your individual requirements. Providing you with Plant Trailer and Hydraulic Tilt Trailer at highly competitive prices. Furthermore, it includes replacement hire if the trailer becomes unusable for 24 hours because of a loss or damage. It also offers Public Liability cover as well as European Use cover. Datatag are experts in the field of Plant Trailer and Hydraulic Tilt Trailer plus many many other varieties of trailer insurance. Our team of helpful and dedicated staff are on hand to offer you any assistance you require when arranging your Plant Trailer and Hydraulic Tilt Trailer. Contact us today to find out what we can do for you. We have thousands of happy customers and many years of industry experience.